Last Tuesday at City Hall, a wonderful announcement was made recognizing Lake Worth in a very positive way. For the 2nd year in a row our Leisure Service dept. /Casino Ballroom staff has received an award for the work they have accomplished in short time. 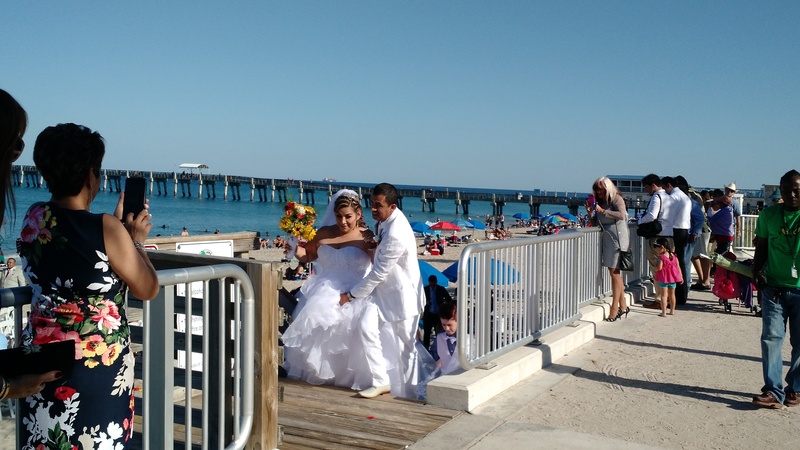 Having been fortunate to witness several weddings ( I spend a lot of time at the beach a lot aka mermaid) this is what it what it looks like as a spectator out at the Lake Worth Beach, quite exciting. 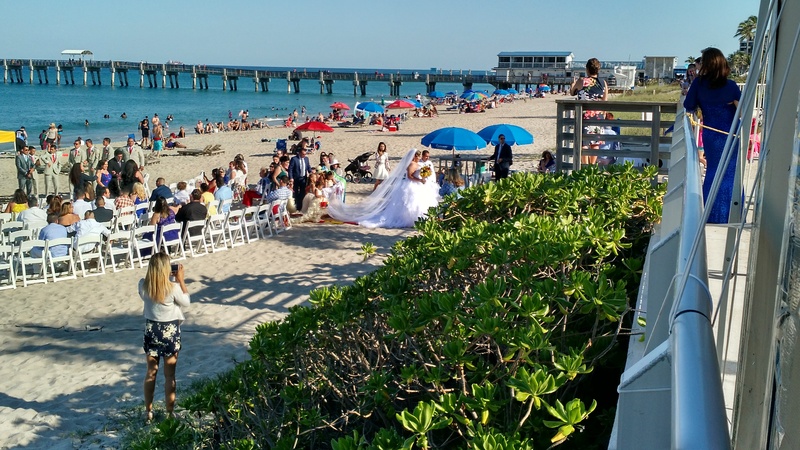 The award came from Couples Choice and Wedding Wire where future brides and their mothers investigate Beach weddings, tropical weddings, ocean view weddings, island weddings. Yet don’t have to pay the price to go to an island. 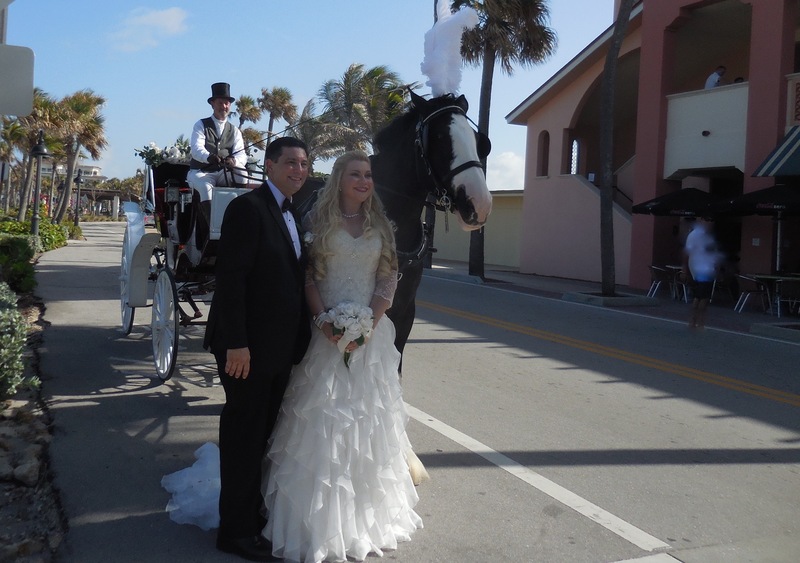 Everyone loves to share in happiness and looking at the beautiful brides and their wedding party all dressed up. Kudos to the staff, for bringing in these weddings, its difficult as it is, it would have been easier if we had a hotel venue. Then again no so easy when the bride is One a half hours late. 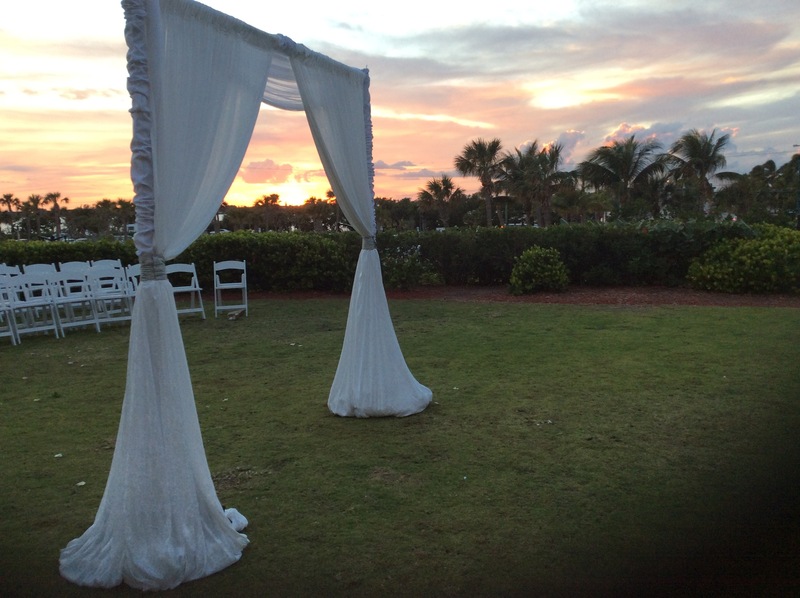 late afternoon wedding with a spectacular sunset in the courtyard.